A smoked gold rocker switch is the only way to control your lights. 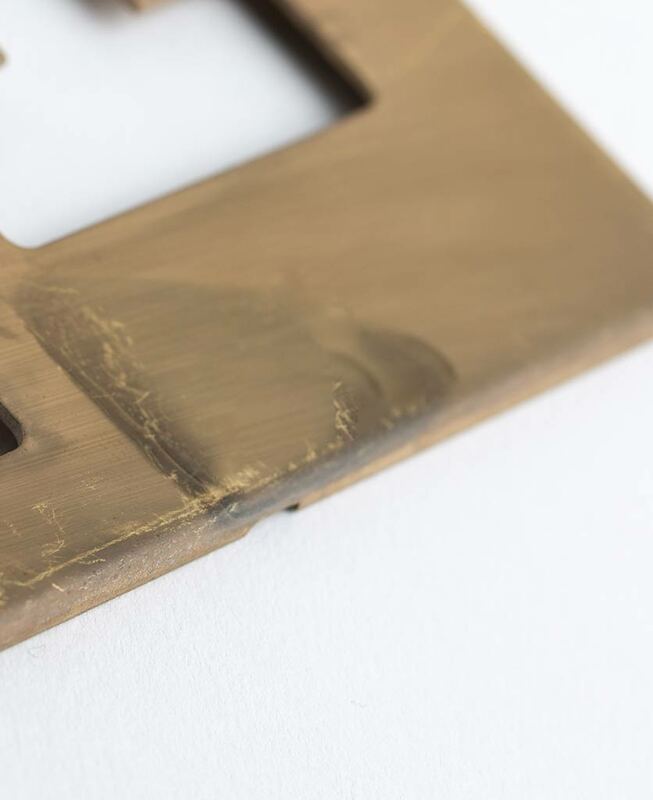 This super-sophisticated matt brass switch looks amazing on soft grey walls where the smokey hues that drift across the surface of the steel plate can really stand out. 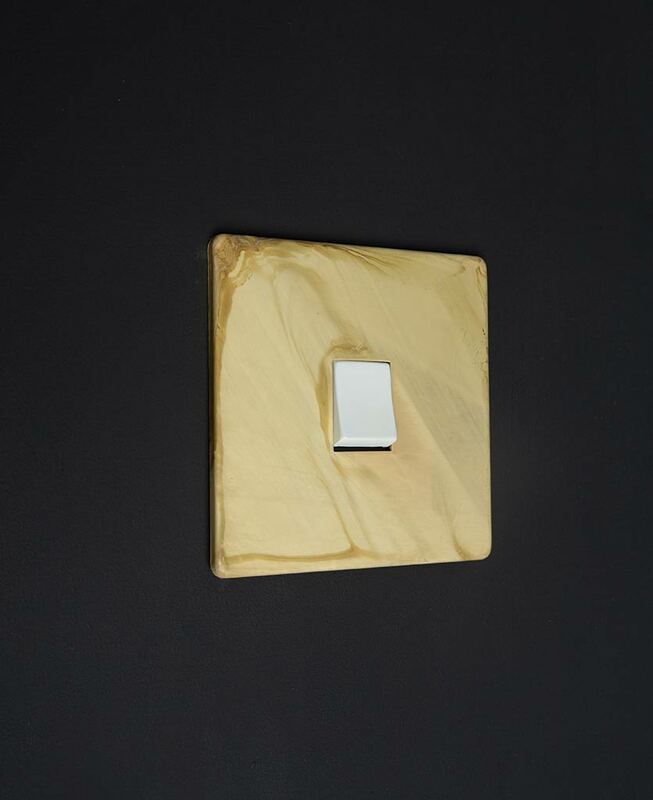 Add a touch of luxury to your interiors with our decadent smoked gold rocker switch. 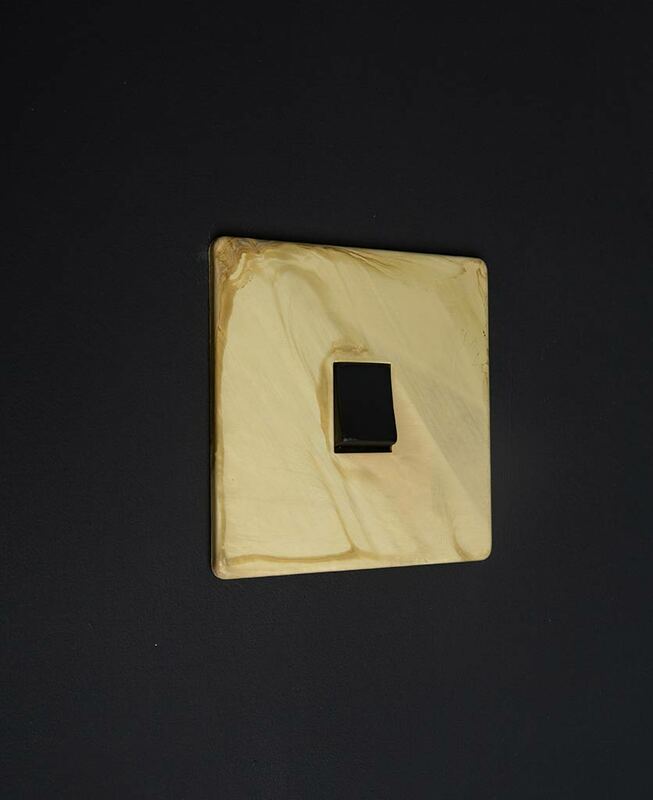 Featuring a matt brass steel plate with swirling hues of charcoal, navy and coffee drifting across the surface, this switch makes tuning your lights on and off a real elegant affair. 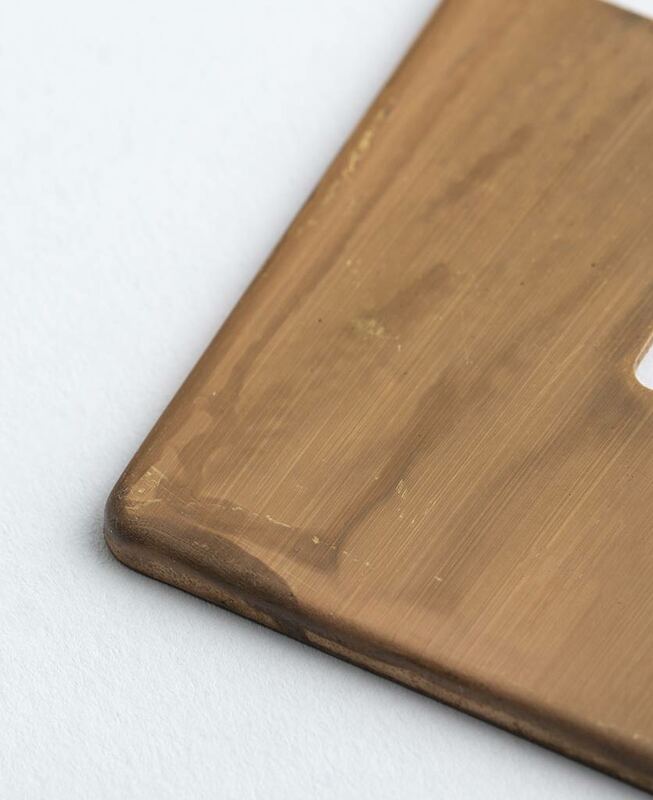 Smoked god is a finish that looks incredible in any interiors, but we love it against matt white or soft grey walls, where its smokey plate can really be appreciated. 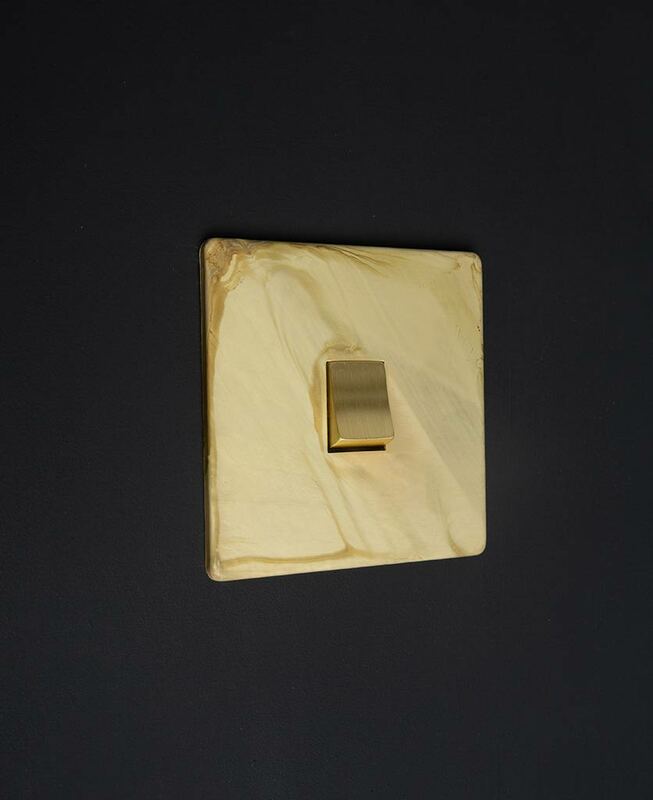 Making up part of our exclusively designed smoked gold switches and sockets collection, this rocker switch can be coordinated with dimmers, toggles, appliance switches and sockets to add a designer, high-end vibe to your interiors, finishing them off to an exceptional standard.